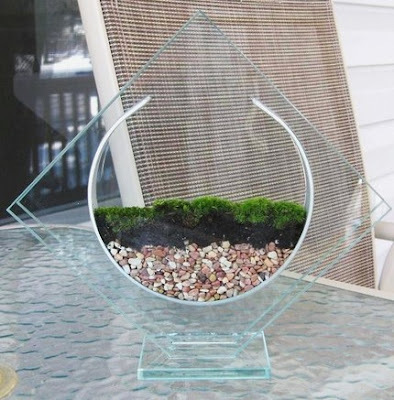 I have to say I never anticipated putting the words "art deco" and "terrarium" in the same sentence but Warm Country Meadows on Etsy has made it happen. Very cool and I've never seen a vase like that! Wow. What an imaginative design. Very unusual ... I like it!